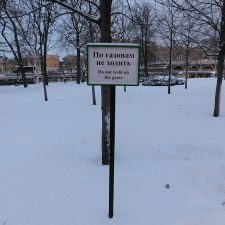 Out of season in Russia? 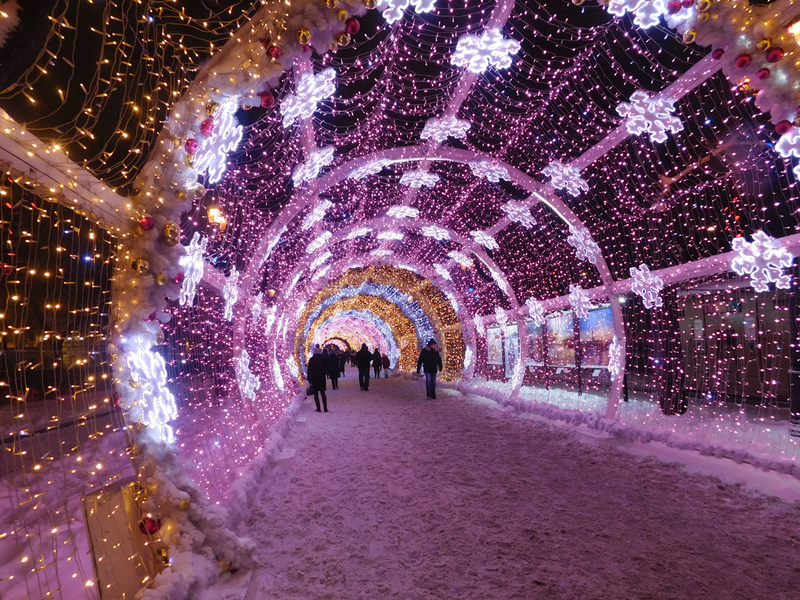 Here are 5 Things to Do in winter in Moscow and why! First stop of our Non-Return-Ticket Tour: Moscow! 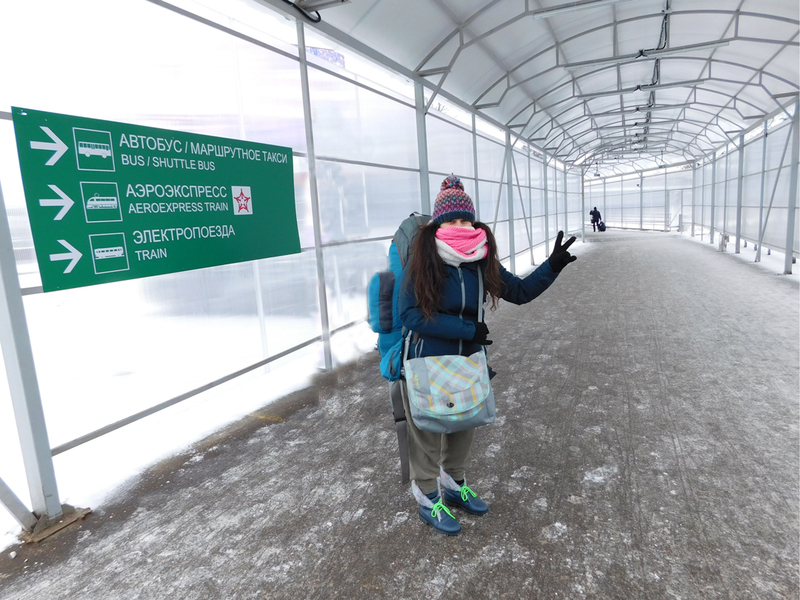 We arrived in Moscow at noon and it was already -5 °C! In terms of snow, Moscow didn’t disappointed us! Tons of snow had covered the city while the workers were trying hard to move the snow aside the main roads and to create footpaths for the pedestrians. Russia just celebrated Christmas and New Year (not the same dates as Western countries) and we came here on purpose out of season. However, we surprisingly realised that everything was still decorated but not as crowded as before – I had heard terrible stories of endless queues and waiting time, high prices and nervous people but I found a manageably busy environment with calm people and decent prices instead (similar to Athens and cheaper than London!). High end restaurants of course are not cheap at all and, unfortunately, the Bolshoi Theatre Shows are expensive too. Other than that you can be very happy at this vibrant city – here are just 5 of the things you can do in wintertime! Please consider the abovementioned when you plan a trip to Moscow – come out of season and you won’t regret it! Snow is everywhere! If you can deal with the cold please spent a day (or half!) here. 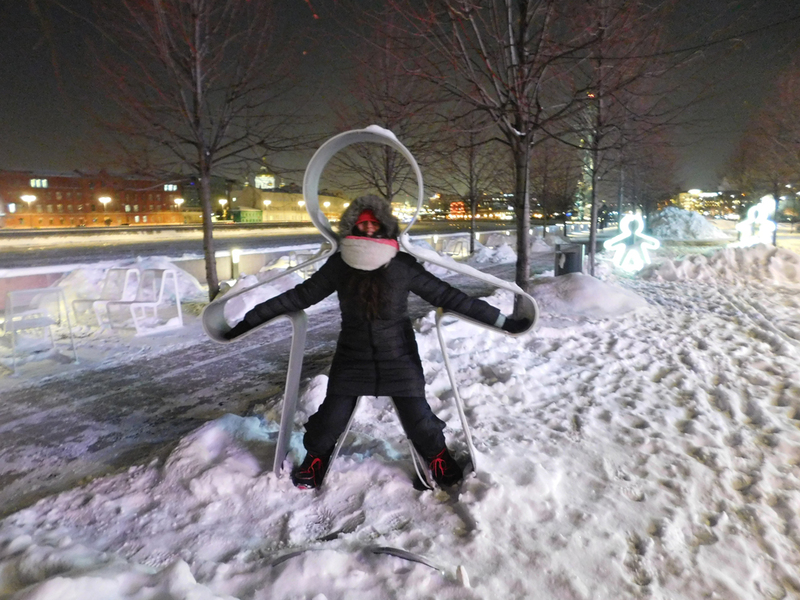 The 24-hour open park is located next to the river and it consists of ice skating paths (only in winter!) , a tiny museum, an ice rink (hockey or ice slides anyone? ), lots of small food and café stalls, art installations and it can be proud of its eco-friendly character. After a major reconstruction in 2011, when the old-fashioned amusement rides and unhealthy food stalls were removed permanently, the park is now free , wheelchair accessible and a happy place where you can meet locals and observe their daily life. Two more minutes and I will stay with this guy forever! A place not very famous abroad as it is mostly a market for Muscovites. Only 2-3 metro stops from the centre, this round, indoor (thanks God!) market has a variety of international food stalls and products- you can expect Russian, Chinese, Caucasian, Cypriot, Italian, American, Japanese, Vietnamese, Georgian and so on. Some vegetarian/ vegan options too but not an entire place. Just few tourists (if any!) around; hence, not many people can speak English! Doesn’t really matter though, you can’t go wrong here when you are hungry! No Moscow list is complete without the central square and definitely it can’t be missed! Kremlin (massive!) , st. Basil’s Cathedral (the most famous building in Moscow) and Lenin’s mausoleum are some of the must-see , just to name a few! You can easily spend one or two days here if you wish to explore as much as possible, even during out-of-season that the queues are not that big anyway! However, Kremlin is said to be so enormous that needs an one-week-visit! Regarding st. Basil’s Cathedral I hold no personal opinion for the inside (as the churches are not my cup of tea) but outside is obviously gorgeous! Very close to this area you can find the Monument to Karl Marx and the Bolshoi Theatre standing opposite to each other. I am wondering if this has happened on purpose! 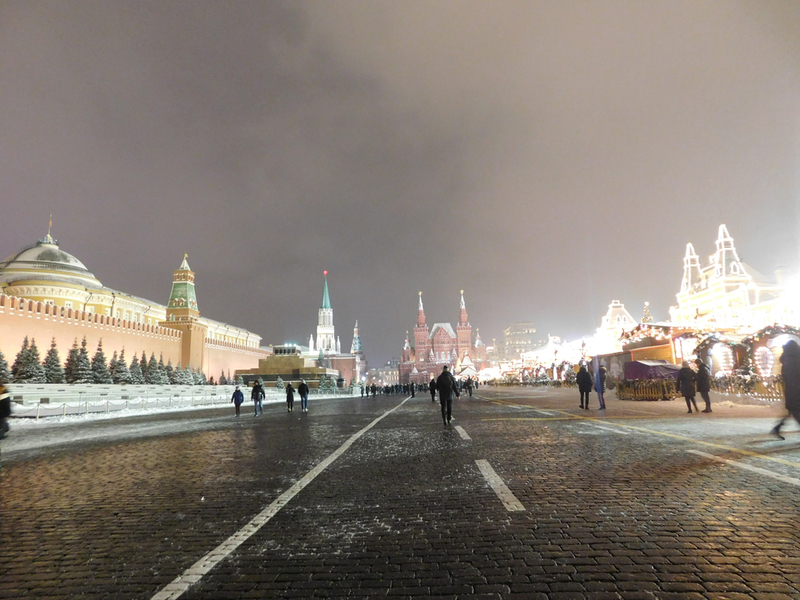 Well.. this is not even the half of the red square! The longest boulevard in the Russian capital! Starting from Bolshoi Theatre and walking Northwest via the contemporary streets that have lots of theatres, museums, monuments, restaurants and hidden in the alleys bars you will reach the top of this popular boulevard. Depending on the season it can be «covered» by flowers, ornaments, Xmas lights etc. while a temporary exhibition standing next to the walking path. We walked here throughout the night and I bet this is the most peaceful and amazing time for the walk, despite the -13 °C! My favourite one! 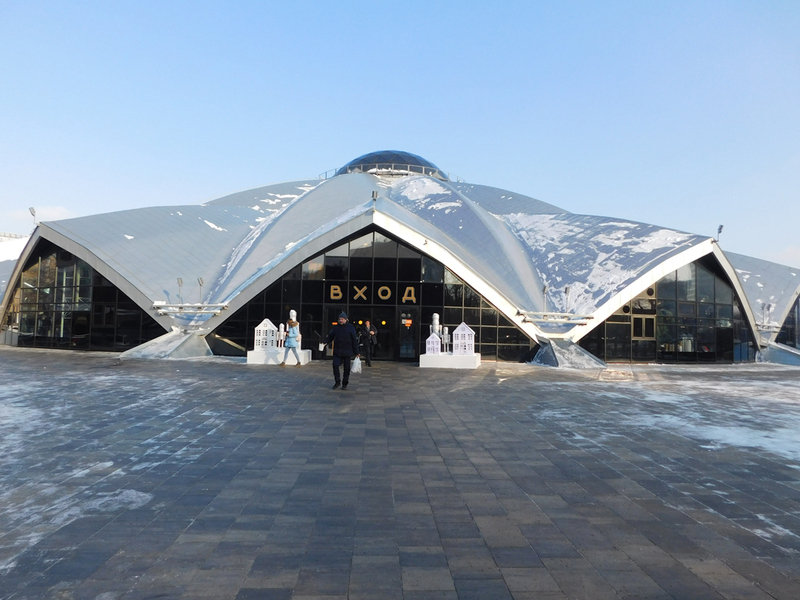 The shortage for All-Russian-Exhibition-Centre is located within a gigantic park and it has plenty to offer! A museum for bees, a space museum, lots of shopping pavilions, a small aquarium, an art & crafts workshops house are just few of the attractions. No doubt, the winter ice-rink is the largest in Europe and once more please expect queuing here! 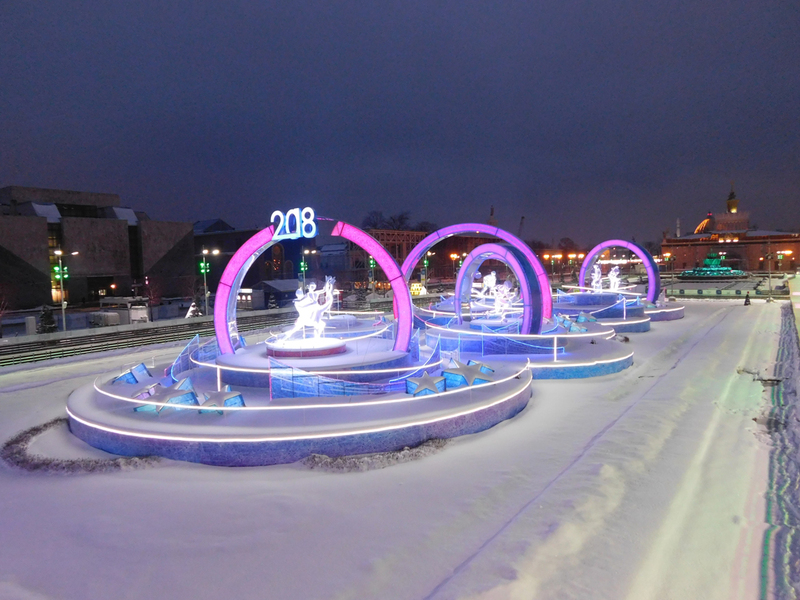 In the summer the ice-rink turns into fountains… such a clever design! Many concerts, exhibitions and trade shows take place all year round and a food court and many restaurants are also located in here. Well, the food court is outdoor so if you are not brave enough you better head to the restaurants after skating / visiting the museums- I did the same, don’t tell! Fancy ice-skating? That’s the place to be! Moscow definitely deserves a full 5 day visit as it is one of the most beautiful and unique European capitals. A detailed guide for visits out of the…wintertime by the journalist Pedro can be find here! 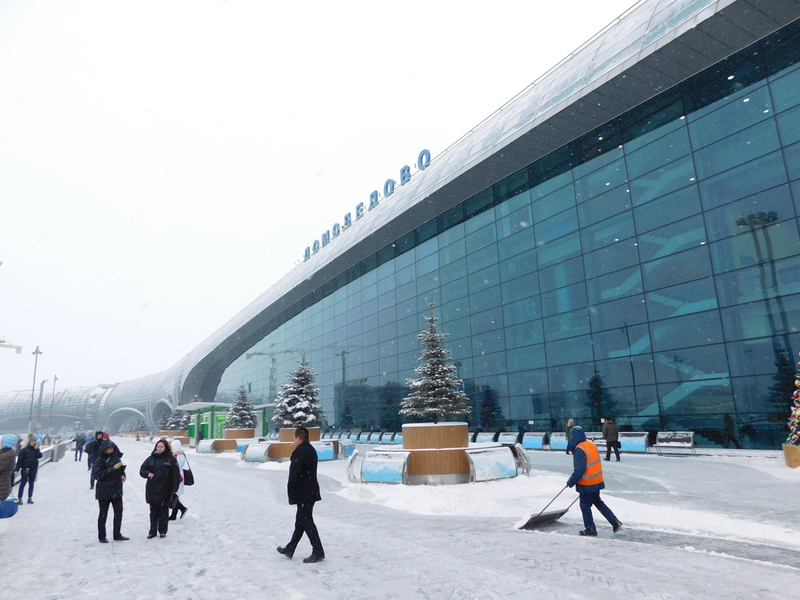 Tonight we are flying to Ulan-Ude in Siberia where we will hop on the Trans-Siberian Railway! See you soon! My shoes are already frozen! What do you think so far? Would you visit Moscow? Woow so many hidden paths, that’s a very interesting city, despite the cold!! Now its in my bucket list for summertime… And won’t regret the ice-skating…. As I can’t! ? Ps wonderful shoes on yr last picture!!!! ??? Yes, I loved it! In the summertime Moscow is so different, full of flowers and the parks are totally amazing! You should go and send pictures! Thank you, I am gonna take more photos of the shoes during our trip but at the moment they are full of snow all the time so it is pointless haha! Oh god, you definitely picked an interesting time to visit Moscow! By that point this winter the furthest I wanted to venture outdoors was to work, or the supermarket. Haha I know, right?Every single day I walked so much so I had to warm up myself for about an hour in the nights! And it was a good preparation for Siberia winter too! Oh Moscow sounds wonderful, I love the aound of all that snow, wondering around the park and the red square, my little lady would love to have a trip here! Thanks for all the tips. Wow! Looks like a great place to visit if you can handle the cold and the snow. I know I couldn’t (I’m from Wisconsin but moved out because I couldn’t take the weather anymore). The central square looks amazing, and those Christmas lights I love! I like Russia in winter, but most of the people don’t. Everyone is constantly complaining about the cold. But the lights are really beautiful, they do spend a lot on New Year decoration. Hahaha reading this and thinking how cold must be in the winter, then saw the last photos. 🙂 🙂 I hope to explore Russia too, but in the summer time. This post has come in so handy because I’m visiting Moscow next month! I’m guessing (hoping!) I won’t have same -5 degrees weather and snow. I like the look of the Danilovsky Market and I hadn’t really heard of that until now! Error: Error validating access token: Session has expired on Tuesday, 02-Apr-19 16:48:27 PDT. The current time is Thursday, 25-Apr-19 11:50:38 PDT.